The Victorinox Tomo multi-function knife will be your daily ally. 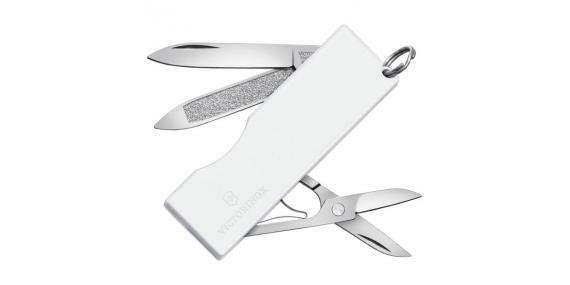 It is equipped with 3 stainless steel elements: a 3.3 cm blade, a file with nail file and scissors. It also has a ring to hang it on a keychain and keep it handy.